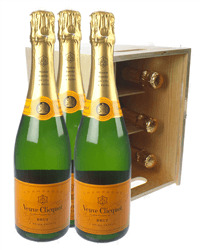 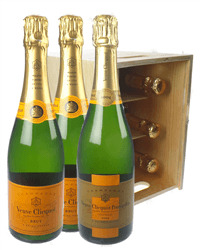 A crate of six bottles of Veuve Champagne will help everyone to celebrate in true style. 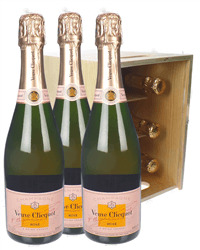 Our range of six bottle Veuve Clicquot Champagne wooden crates allows you to select from a choice of Rose, non Vintage,Vintage or a mix of Veuve Champagnes. 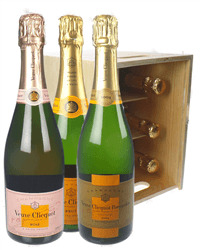 Order online or by phone and we will deliver your gift, carefully packaged with your personal gift message.